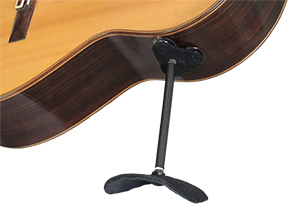 Roland Schlieders classical guitar support offers a new option for guitarist who focus on relax shoulder and neck or need to change posture in order to reduce lower back pain and fatigue during practice time. The Bolivian Evangelic University invited Roland Schlieder to form part of the faculty as a guest professor for the Fall Semester 2018. 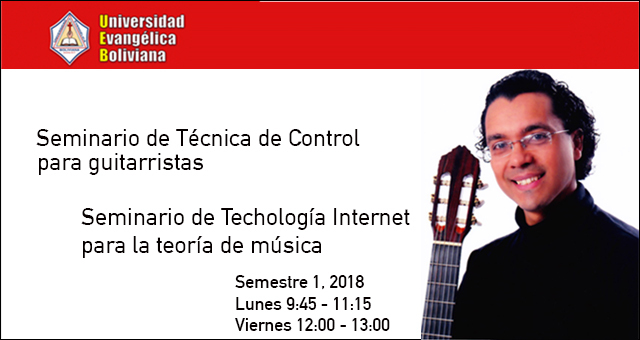 Roland Schlieder will be teaching guitar technique, based on his own book "Control Technique - Hand Mechanics", and he also will teach a Internet Technology Semimar - the application of IT for Music Theory. The Jazz Choir of the German School of Santa Cruz, conducted by Roland Schlieder, won the State Choir Competition for Youth Choirs. The choir presented diverse repertoire from german lutheran sacred work, local folkore piece and the main works Jazz Barbershop repertiore. Roland Schlieder rehearsed the young choir working on proper voice technique and musical interpretation. 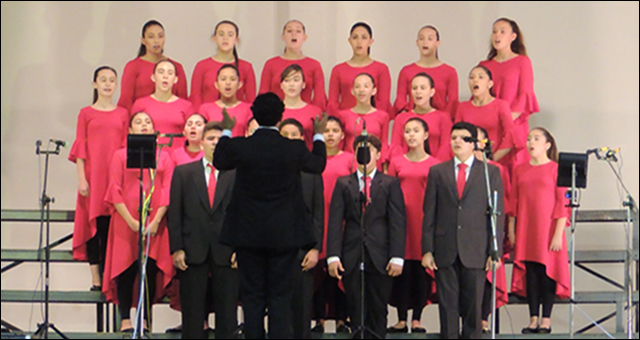 In octubre 15th 2018, the Jazz Choir will participate in the National Competion; which will be held in the city of Sucre/Bolivia. As a performing artist we serve the music and the audience. But we also love to work with talented students. 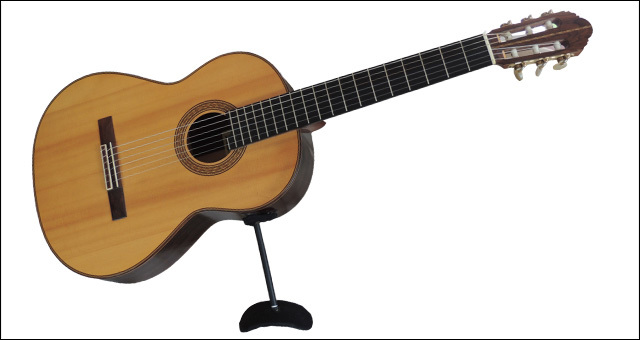 If you have any questions about technique and guitar practicing, don't hesitate to get in touch. Subscribe to our mailing if you want to receive updates on Masterclasses and publications! © Copyright Schlieder Group LLC. All Rights Reserved.